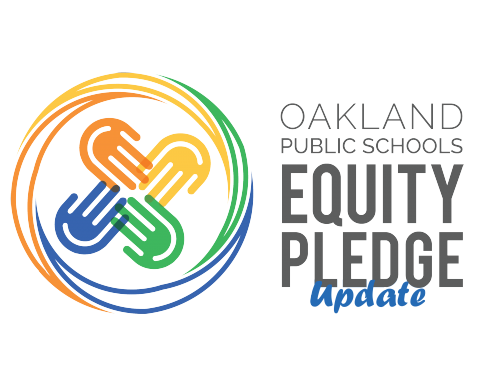 At the June 22, 2016 Oakland Unified School District (OUSD) Board meeting, education leaders from both district-run and charter schools waited patiently–for nearly 5 hours–for their turn to update OUSD’s Board of Education about their work on the Equity Pledge. Some working groups had identified clear agreements and action steps while others had created a list of discussion topics and information needed for their next conversations. Increase the quality and equity of services that students receive because of that cooperation. This is a way of helping charter and district schools work together in a way that helps students receive more equitable outcomes. Every step we can take in that direction is important. If you look at the list of working groups you will see a list of important issues for all schools, but particularly in a system like Oakland in which approximately 28% of students attend charter schools. There are over 125 district and charter schools across the city. Our students need them to work together on their behalf. Everybody has something to give and to gain through this process. Some parts of the areas of agreement might be quick. For example, all district and charter schools could agree to use the same annual survey for teachers, so we can figure out if there are schools who are doing a great job at teacher recruitment and retention. Then we can learn from them. It will take longer to come to agreements around special education services. This will require a lot more data, shared values and philosophy, trust, and agreement for solutions to complex issues to implement big system improvements. For example, the soonest a charter school could legally rejoin the OUSD SELPA is the 2017-18 school year. I look forward to seeing and supporting this work as it moves forward. There are some long overdue changes that need to be made on behalf of students.